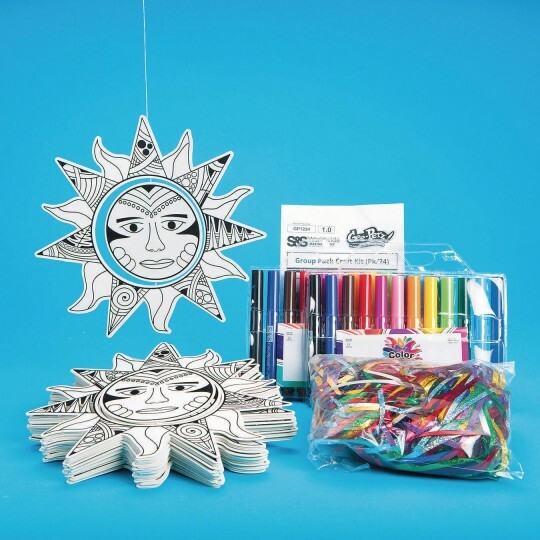 Create a velvet Aztec sun mobile! Learn about the Aztec Sun Stone and create a velvet Aztec sun mobile. The double-sided velvet design is pre-strung for easy display. Color the design and then add metallic trim to the sunrays. All supplies included along with Educraft® instructions. 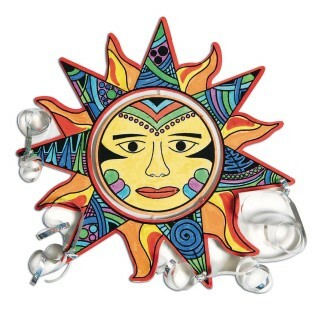 Mobile measures approximately 9-1/2” in diameter. Pack of 24.